Zenobia, the proud daughter of a Syrian sheikh, refuses to marry against her will. She won't submit to a lifetime of subservience. 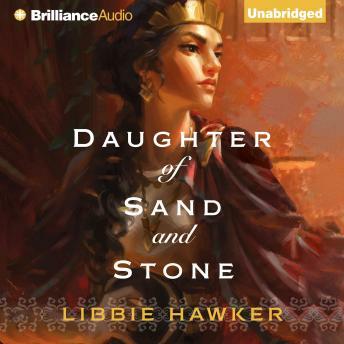 When her father dies, she sets out on her own, pursuing the power she believes to be her birthright, dreaming of the Roman Empire's downfall and her ascendance to the throne. Defying her family, Zenobia arranges her own marriage to the most influential man in the city of Palmyra. But their union is anything but peaceful-his other wife begrudges the marriage and the birth of Zenobia's son, and Zenobia finds herself ever more drawn to her guardsman, Zabdas. As war breaks out, she's faced with terrible choices. From the decadent halls of Rome to the golden sands of Egypt, Zenobia fights for power, for love, and for her son. But will her hubris draw the wrath of the gods? Will she learn a "woman's place," or can she finally stake her claim as Empress of the East? Enjoyed the book and the narrator was amazing. The way it is told makes you feel as if you are there. I feel that the author tries too hard to instil in her characters the values she favours. The story feels fake and lacks maturity.